La Défense is a modernistic high-rise commercial district in Paris. With over three million square metres of floorspace, this is the biggest office location in Europe, accommodating more than 150,000 office staff. 1600 firms – among them some of the biggest corporations in both France and the world – are represented in La Défense. 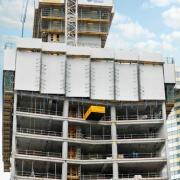 A new prestige project is the 166 m ‘Tour Carpe Diem’ tower being built for the insurance group Aviva. 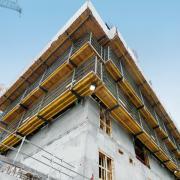 Designed to Green Building Standards, it is scheduled for completion in 2012. 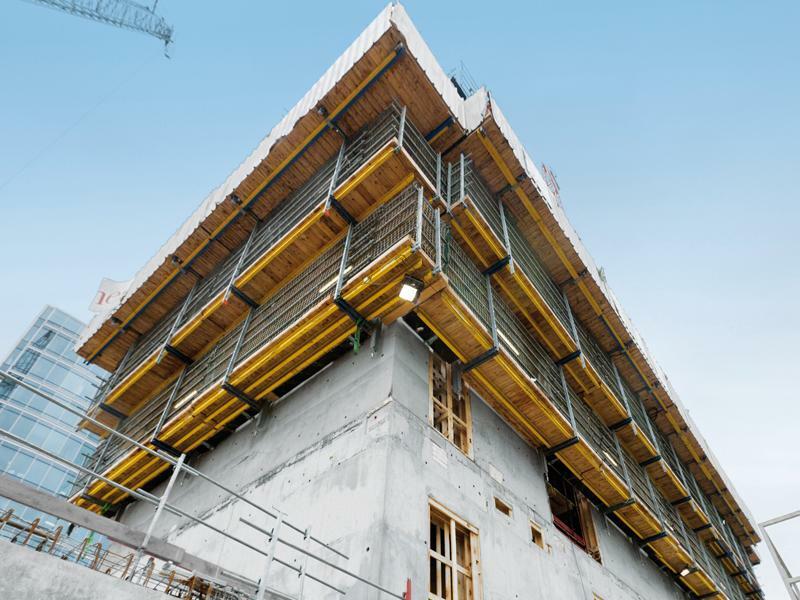 The ‘Doka automatic climbing formwork SKE50 plus’ system is keeping operations moving ahead very fast on this project, despite the cramped conditions on the site. 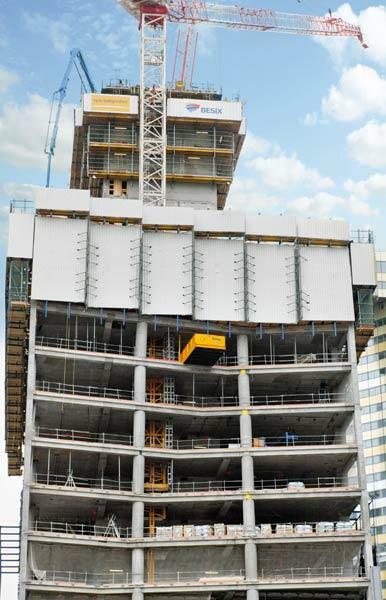 Used here as a protection screen, the Doka ‘Automatic climbing formwork Xclimb 60’ system is ensuring high workplace safety on this build. Thank you for your interest - Rapid construction progress amid tight space constraints. Thank you very much for your interest - Rapid construction progress amid tight space constraints.